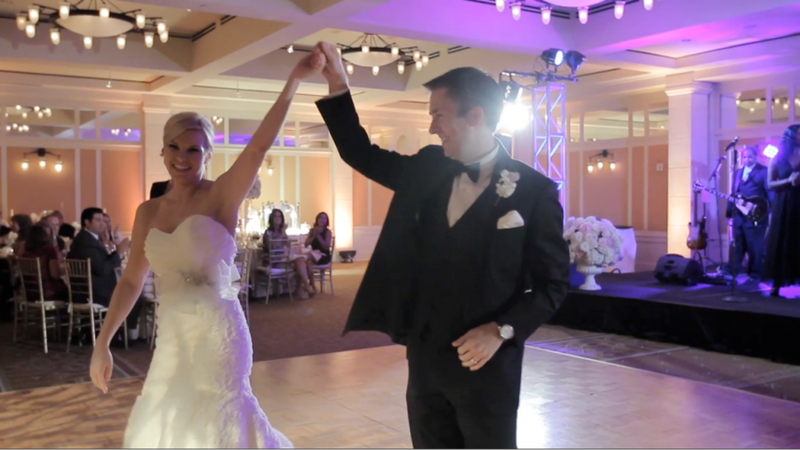 Kristy & David's first dance at their wedding was over-the-moon high energy and FUN. Up til then, the day had been relaxed and low-key----girls getting ready and laughing, family visiting at the Barton Creek bar, and children skipping around. All of that quietness changed after the ceremony and vows, when everyone hit the dance floor with energy and tons of smiles. Kristy's colors of pale pinks, creams, and white were a lovely contrast with her bridesmaids in blue and the cool lighting on the dance floor. Barton Creek's grand ballroom is fitted with perfect details for an elegant wedding reception--crystal chandeliers, damask wallpaper in blush & gold hues, and gorgeous wainscoting. 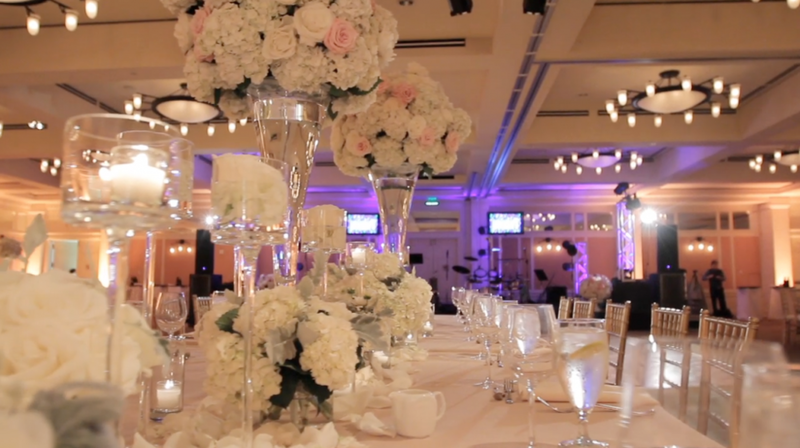 The resort is filled with Historic Texas decor, and so the classic feel of the ballroom really set the tone for the punching rhythm jazz tune that David and Kristy chose for their traditional entrance and first dance. Kristy and David found a wonderful way to make their first dance even more memorable than most--David's father played the trumpet to in the original recording of a soulful blues band hit in the 60s. David's parents have both passed away, and so David & Kristy chose to dance to that song in remembrance of them. As Kristy's father said in his toast, "now, that's a tribute." We are also big fans of Kristy's accessory style--- the gorgeous silk ribbon belt with rhinestone accents is a stunning addition to her ivory gown. Wedding Band Set of Bride's Engagement ring and band plus Groom's wedding ring. Kristy and David's rings together on the big day. The bride and groom were so sweet and treated us like visiting dignitaries. We were honored by their compliments of our work, and even more humbled to watch the way their love for each other and for their families was so evident. When we post their full film, you'll see hearts so big, it is a wonder that they fit in the Texas borders at all.